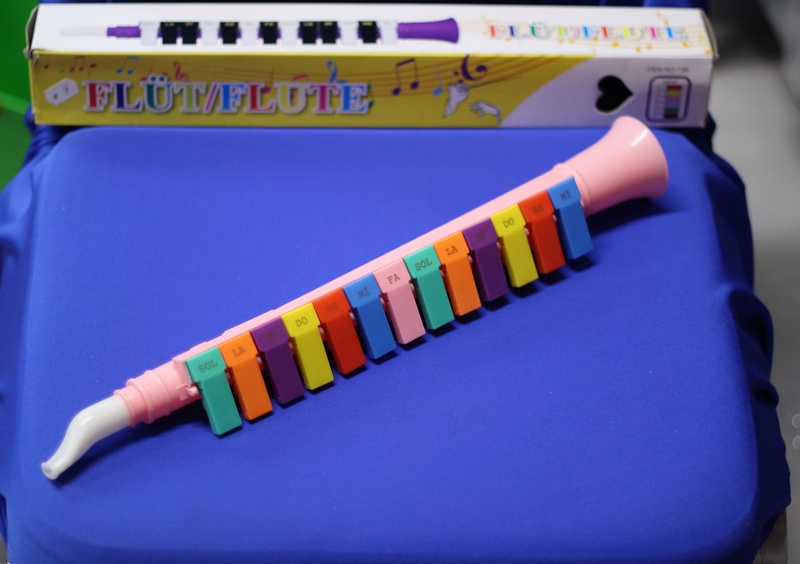 This is a brightly coloured instrument with a shape similar to a clarinet. It is blown in the mouthpiece in one end and the keys are depressed at the same time to give the different pitches. This instrument is 40 cm in length with 13 multi-coloured keys. It is hand held vertically to play.